With the blessed month of Ramadan upon us, we need to plan and prepare ourselves as much as we can in sha Allah, in order to best utilise this month of mercy. 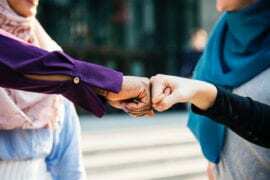 Now, as a wife and a mother I know this can be especially challenging for women, as a lot of time is spent in the kitchen cooking and preparing iftar for the family. 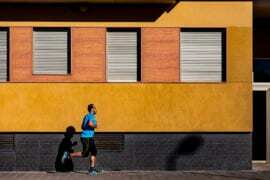 However, this can be avoided! By doing just a few simple things you will find that the amount of time spent in the kitchen is much lesser and the amount of time you have for ibadah is increased. Let’s go through my advice for minimising the cooking time and maximising the worship time during Ramadan! The rewards for our good deeds are multiplied from 10 to 700 times, depending on our intention, sincerity and excellence in action [Sahih al-Bukhari], and there is no better time to renew intention than in this beautiful month! There are various foods that we know the Prophet Muhammad used to eat and what better time to consume them with the intention of following the sunnah, than in Ramadan? Not only are they extremely healthy, they’re natural, easy to consume and save you so much time! Barley: The Prophet Muhammad also consumed sawiq, which is a coarse broth made from ground wheat and barley, as Abdullah bin Abi Aufa narrated:“We were in the company of the Prophet on a journey and he was fasting, and when the sun set, he addressed somebody, “O so-and-so, get up and mix Sawiq with water for us.” He replied, “O Allah’s Apostle! (Will you wait) till it is evening?” The Prophet said, “Get down and mix Sawiq with water for us.” He replied, “O Allah’s Messenger (ﷺ)! (If you wait) till it is evening.” The Prophet said again, “Get down and mix Sawiq with water for us.” He replied, “It is still daytime.” The Prophet said again, “Get down and mix Sawiq with water for us.” He got down and mixed Sawiq for them. The Prophet drank it and then said, “When you see night falling from this side, the fasting person should break his fast.”” [Al Bukhari]. There are many other narrations in which barley is shown to be a popular food in the diet of the Prophet Muhammad . Fruits: The Prophet Muhammad also ate fruits like figs, grapes and olive oil with bread. 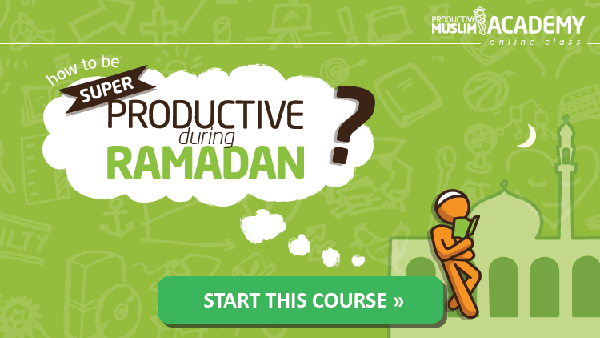 Choose a day out of the week and plan all your iftars and suhoors for the entire week. 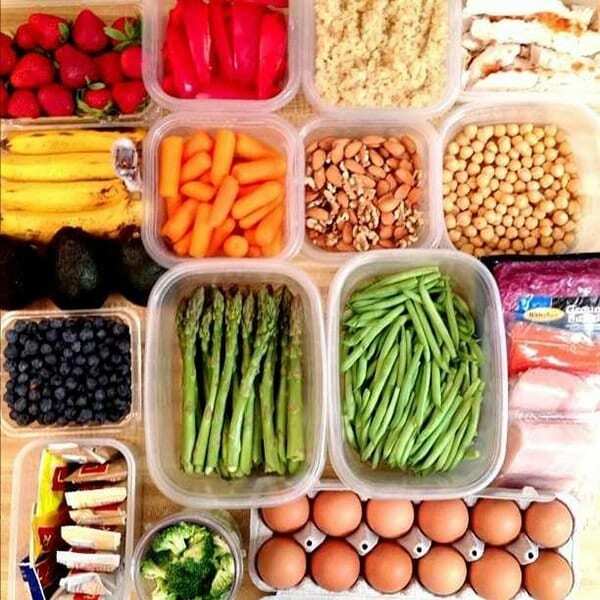 Try to choose easy and quick meals which will not require hours of effort (I will be sharing some recipes too). Meal planning helps organise yourself better and you will not have to spend time every day deciding what to cook – it saves so much time! At the time of your meal planning, be sensible and try and choose meals that will not make you and your family feel tired and sluggish afterwards. It is so easy for Ramadan to become a feast, as our hungry stomachs crave fried samosas and kebabs! In actual fact, Ramadan is the perfect time to practise zuhd, which means detaching yourself from the pleasures on the dunya. Don’t change your normal habits during Ramadan – throughout the rest of the year, it is normal to have one or two dishes for your main meal, however, Ramadan often becomes a feast where you are tempted to make seven or eight different varieties of food. Keep the practice of only making one or two dishes even during the fasting month. Not only will you save time, but you are more likely to have healthier meals and you decrease the risk of food wastage. Once you have decided on your meals, do as much prep work as possible. For example, chop up fruits and vegetables, place them in to zip lock bags and freeze them. During Ramadan, the freezer will be your best friend! Once you have frozen all the fruits and vegetables, you can use them throughout the month as you go, saving you from spending time peeling and chopping during the day. Frozen fruits are great in smoothies (perfect for suhoor!) and are instantly cold, which means you don’t need any ice. Another great tip is to freeze staples like chopped garlic and ginger in ice cube trays, so you can easily pop one out to use in cooking. You will see your Ramadan transform as you are able to easily grab prepared ingredients out of the freezer and use them in cooking in less than a few minutes. Did I mention the freezer will be your best friend during Ramadan? Choose a day of the week where you will have enough time to chop up fruits and vegetables using a good food processor and cook multiple meals to freeze. You could prepare the sauce for lasagna or spaghetti, casseroles, the filling for shepherd’s pie or pastries like Moroccan chicken rolls. You could also prepare dough for pizzas or bread and freeze it after the first rising, forming them into loafs or balls. Anything that can be cooked and frozen will save you time and energy, giving you more time out of the kitchen. If you have a slow cooker, it’s time to get that bad boy out! If not, I really recommend you get your hands on one as soon as possible. They are inexpensive and are a life saver. You can literally make nearly any dish by placing all the ingredients into it, adding seasoning, then turning it on and walking away. How great is that? Start cooking your meal earlier in the day and by iftar you will have a delicious slow cooked meal for you and the family, which required minimal effort. This means you have the entire day to dedicate to ibadah. 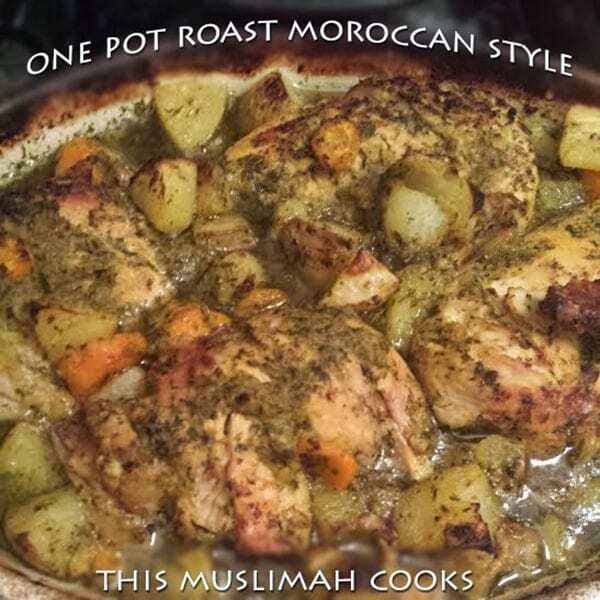 I have included a recipe of my Moroccan One Pot Roast, which is ideal for cooking in a slow cooker. Here, I have researched the best food to consume at suhoor and iftar time. The list is endless, but try to have lots of fruits and vegetables, and decrease the amount of fried food you eat this month – maybe you can restrict fried food to once or twice a week. After iftar, we should try and perform taraweeh and qiyaam ul-layl as much as we are able to, so we need to make sure that what we are eating will give us an energy boost and not the opposite. Greek yogurt: Greek yogurt is higher in protein and lower in sugar and sodium than traditional yogurt. Greek yogurt will keep you fuller longer, delaying hunger pangs and giving you energy, which is great while you are fasting! Stick to 2% plain or whole fat, you can have this at suhoor in a smoothie or with some fruit or some granola. Bananas: Bananas are brilliant to eat at suhoor or after iftar as they contain essential vitamins and provide a lasting energy boost. Bananas are rich in potassium, and can reduce salt levels in your body which will make you feel less thirsty. A great suhoor recipe is to mash one and a half bananas with one egg and fry in some olive oil or coconut oil to make delicious, guilt-free and healthy pancakes! Lentils: Not only are lentils healthy, but they are packed with fibre which means you stay full for longer. Lentils are a great meat-alternative for iftar. Lentils are part of a group called complex carbohydrates, other examples of which are oatmeal and grains, which are great for slow-releasing energy. Leafy greens: Spinach and kale are high in vitamins A and C, and are loaded with B vitamins, which are known as “the energy vitamins.” You can pop them into your smoothie at suhoor or in a salad or cooked meal at iftar. Dark Chocolate: Who doesn’t love some chocolate? Dark chocolate contains a natural stimulant called theobromine (similar to our caffeinated friend, coffee) that gives you a buzz. Don’t overdo it though – one piece is usually enough to satisfy your sweet craving and it means you can skip the process of making fatty, time-consuming desserts. Hummus: Hummus is made from chickpeas and provides a good source of energy that will keep you going for a few hours. It makes a great snack, especially when you use other energy-giving foods for dipping like carrots or cucumbers. Perfect for opening your fast with as a starter. Melons: Watermelon, honeydew, and cantaloupe – you really can’t go wrong with this as a food choice. All three of these melons contain antioxidants, taste great, and will give you a real boost as they are bursting with energising vitamins. As melons are 90% water, they help keep you hydrated and this is great to have at suhoor. They are equally as good to have at iftar – after a long summer fast, melons are light, sweet and refreshing! While we try to minimise our time in the kitchen during Ramadan, it is impossible to not spend any time in there at all, especially if we are cooking for our family. So why not try and incorporate some ibadah whilst cooking and cleaning? If you are memorising Qur’an, go over the surah you are trying to memorise by reciting out loud or in your head. Do dhikr and istighfar as you are cooking and cleaning up -it’s so easy to do and the rewards are great! In this section, I will sharing with you easy recipes that I have made over the years that are perfect for your iftar – they are quick to make, filling and won’t slow you down and make you sluggish in sha Allah. These dishes are enough on their own so you won’t need to waste time making a selection of fried foods that will make you feel bloated later on. This is a North African dish which is extremely popular, especially in Morocco. It is spicy tomato sauce with meatballs (optional! ), topped with eggs. Simple, delicious and full of flavour. 1) Heat a deep, large skillet or nonstick pan on medium. Slowly warm olive oil in the pan, add chopped onion, saute for a few minutes until the onion begins to soften. Add the garlic and continue to saute until mixture is fragrant. 2) Add the bell pepper, saute for 5-7 minutes over medium heat until softened. 3) Add the tomatoes and tomato paste to the pan, stir till blended. Add spices and sugar, stir well and allow mixture to simmer over medium heat for 5-7 mins. At this point taste the mixture and add any spices according to preference. Add salt and pepper to taste. 4) If you are using meat, add in the meat balls now and cover the pan to allow them to cook until tender. 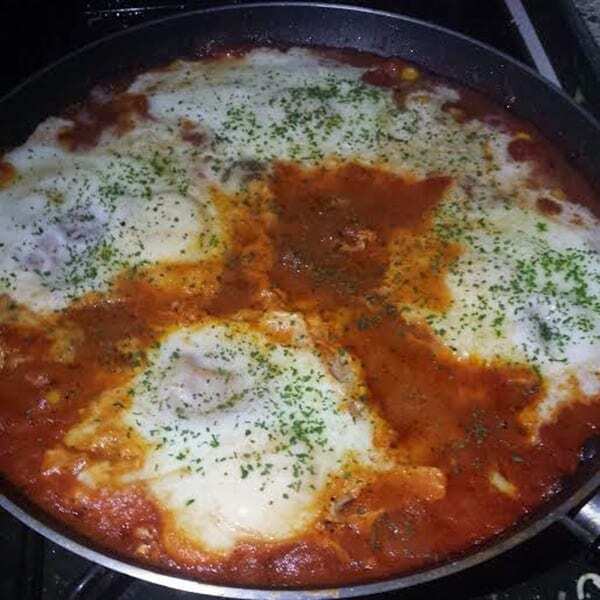 5) Once the meat balls are cooked, crack the eggs one at a time, directly over the tomato, making sure to space them out evenly over the sauce. 6) Cover the pan and allow the mixture to simmer for 10-15 minutes or until the eggs are cooked and the sauce has slightly reduced. Keep an eye on it and make sure the sauce doesn’t reduce too much to avoid burning. 7) Garnish with chopped parsley, if desired and enjoy! This recipe is ideal for Ramadan as you can literally put everything into one baking dish or slow cook and leave it to cook all together. I called this Moroccan style as you marinate the chicken the same way you would to make Moroccan roast chicken. Make use of my earlier tip and use chopped and peeled vegetables that you have frozen away for quick access. 1) Place the chicken into a large baking dish and set aside. 2) Place the onion, garlic and coriander into a food processor and blend together until everything is chopped into tiny pieces and combined. 3) Pour the onion mixture into a large bowl and add the spices, lemon juice and oil and mix together using your hands or a spoon. 4) Using your hands take some marinade and coat each chicken well, massage it all over until well coated. Do the same for all the chicken pieces. Leave a little marinade for the potatoes and carrots. 5) Add the chopped potatoes and carrots to the bowl of the marinade mixture and mix together well. Pour the potatoes and carrots into the baking dish and distribute them evenly. 6) Add a little water to the bowl that had the marinade in it and scrape down any bits left of the marinade and pour it over the chicken. You can add extra wedges of lemon (wash the lemon thoroughly first) for a more citrus flavour. 7) Cover with aluminium foil and place in the oven on Gas mark 6/ 200 C/ 400 F for 45 mins. After 45 mins, check to see if its cooked. If not leave for a further 15 mins. 8) When cooked, remove the foil and continue to cook for a further 5-10 mins so the chicken can get crispy and golden brown on top. 9) Serve with a side of salad and some bread as we do in Morocco. Enjoy! This is a must in every Moroccan household during Ramadan. 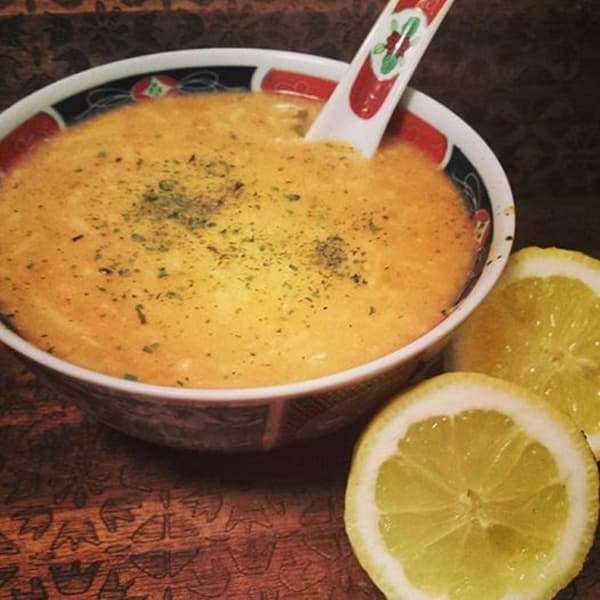 Delicious soup that is easy to make and filling. Soups are hearty, warm and energising, as you can experiment with them and add different vegetables and meats to suit your taste. They are filling enough to cure your hunger, but light enough to keep you active for ibadah later in the night. 1) Add the tomatoes, onion, coriander, parsley and celery to a food processor and blend together. 2) Add the tomatoes, onion, coriander, parsley, celery, butter, salt, pepper, ginger powder, lentils, and water in your cooking pan. Cover the cooking pan and let all the ingredients cook for 45 minutes on medium heat. Stir from time to time. If you are using dry chickpeas, add them here. If you opt to add meat, add them now too. 3) After 45 minutes, add the canned chickpeas and the tomato paste. 4) Mix the flour with some water. Slowly pour the flour mixture to the harira while stirring constantly. 5) Add the vermicelli. Cover and let the harira cook for another 10 minutes. Serve the harira with some dates, lemon and bread. Enjoy! 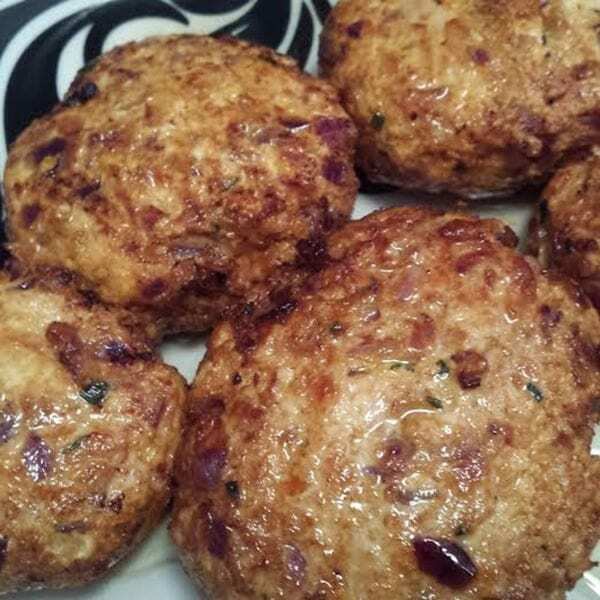 My juicy, spicy chicken burgers are ideal for iftar as you can prepare the mince early in the morning and leave it to marinate until the evening to make them extra succulent. They will definitely be a hit with the kids! 1) Blend together the onion, chilli, garlic and chives in a food processor and add the mixture to the chicken mince in a large bowl. 2) Add in all the spices and lemon juice and mix until well combined. Cover with foil and leave it in the fridge for an hour to marinate. 3) Using your hands divide the mixture into preferred sizes then roll it into a ball using your hands, then flatten them between your palms and set aside on a plate. Serve in a wholemeal bun with lettuce, tomato, some mayo and enjoy! I hope my advice is useful to you in sha Allah! Let’s make a sincere intention to change our Ramadan eating habits for the better so that we don’t waste a second of this precious month in anything we can do without. May Allah make this month a month in which we get closer to Him, worship Him with sincerity and change ourselves for the better. Ameen ya Rabb!